NECN anchor Brian Shactman sports the no-tie look on set. If you’ve been watching NECN recently, you may have noticed something missing. Male anchors in the studio have done away with the ties. 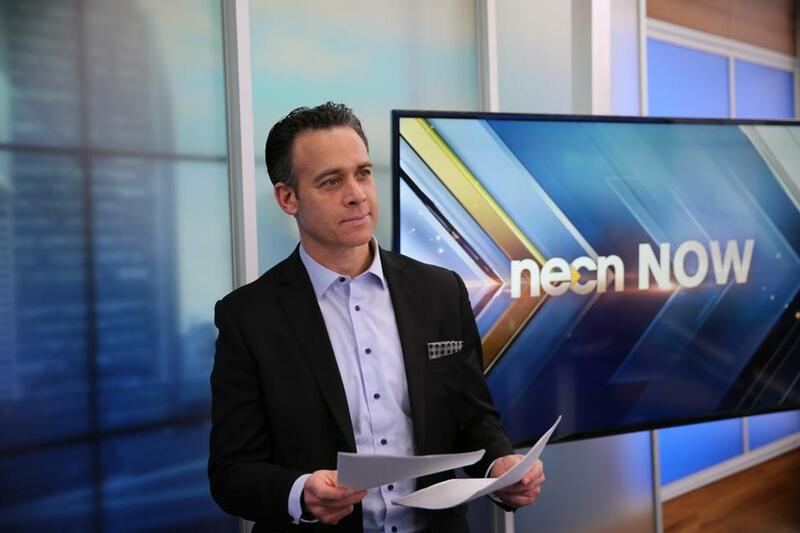 The new dress code was implemented by NECN news director Ben Dobson, and other NBC-owned stations in the region, including NBC10 Boston and Telemundo, plan to adopt the tie-less look, too. Dobson said the move to ditch the neckwear is an effort to mirror its viewers, whom he believes are less likely to wear ties thanks to evolving workplace dress codes. Audrey Mansfield, visual stylist for NBC-owned stations, said that female anchors and reporters have also seen slightly relaxed wardrobe guidelines in recent years, but viewers may not notice much of a change to their in-studio attire. She said that while many stations have some leeway for what sorts of outfits may be worn in-studio, the decision to wear dresses is often financial, as anchors must purchase their own clothing. “Dresses are less expensive, and often just easier,” she said. Mansfield said stations do research on what sort of attire connects best with audiences. So while anchors are still mostly buttoned-up in the studio, out in the field jeans and a sweater might feel more appropriate. “When our reporters are in the field, they’re dressed for the environment and the story they’re reporting,” Mansfield said. “If there’s a train derailment, they should be dressed so that they could potentially help someone. If there’s a prison escape, their dress will reflect that they could be a part of the search party.